I'm sure we'll see something like that next season. The quick peek we got was just a teaser to cause us to look for clues and do our homework over the summer. And by gum, we did! I would have gone in a different direction for the flashback to Krypton. Scene: Enormous complex where we see a vast Kryptonian AI & several scientists talking to the AI. "Krypton is beyond saving. We are sorry that your AI allows you to not only comprehend but to 'feel' the end of your existence along with us." AI: "My fate will be different from yours . . . goodbye." 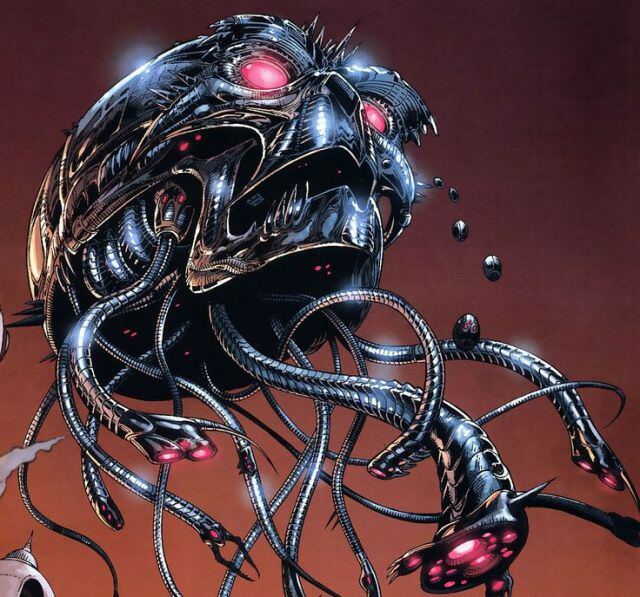 We then see the AI unfold & morph into a large & fantastic looking star ship. It lifts out of the complex after blasting a hole in the roof & continues into outer space. 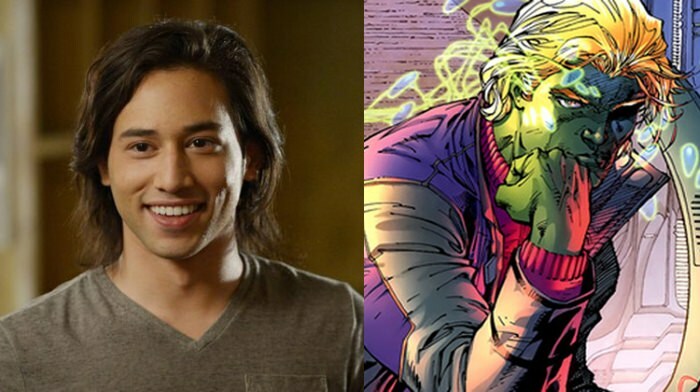 AI: "Krypton dies, Brainiac lives." Just how AWESOME would this be! Exciting episode as Supergirl & Reign have a titanic battle. Loved the scene with Mon-El when he first explains to our regular cast members about the Legion! Poor Kara got the Kryptonian snot beat out of her! It was difficult to watch. The final plummet from the building and the way the sidewalk was smashed — with crying kids standing around gazing at the sad sight — was very moving. As a cliffhanger episode it was very effective. The mid-season opener is planned to introduce more thawed out members of the Legion (It was Schott who called them THE LEGION OF SUPERHEROES.). 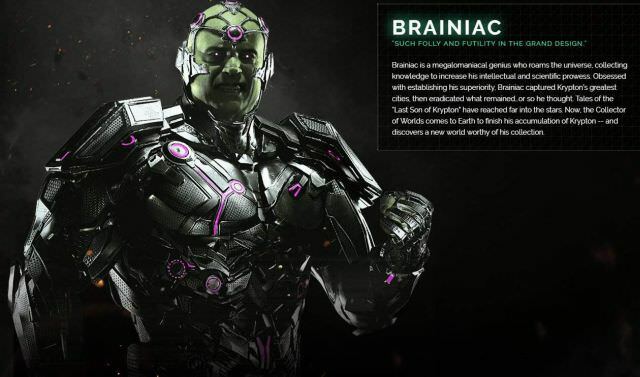 We'll meet Braniac-5 who is destined to be Kara's next squeeze. Brianac-5 is a likable character. I'm really enjoying the series. Our late and much lamented friend Randy Everett was NOT impressed with Supergirl before the first first dozen episodes had aired (back on Nov 15, 2015), and he had this to say about the series. When ever I see Supergirl being kicked around by a bad guy, the song "Rescue Me" by Fontella Bass starts running through my head, and sure enough Cuzin' Supie shows up to rescue her. By the way, the last episode had a massive viewer drop . . . I don't expect this show to run more than 13 weeks. Well, here we are at episode 15 . . . of season 3, and the show did exactly what I hoped it would do as season 1 came to a close — it moved from CBS to the CW so it could offer plenty of crossover episodes with the other DC superhero series. Ironically, one-by-one I've lost interest in the other CW series — Flash, Arrow, and DC's Legends of Tomorrow. I'll probably give them all another shot with a nice long session of "binge watching" so that I'll stay on top of the plot developments, instead of getting a bit muddled because I forget all the details of the last six episodes that connected with the current ones. God, I HATE it when that happens! Meanwhile, this week's Supergirl was exceptional, with a combat training scene between Supergirl and Mon-El, who was wearing his totally DC-type superhero costume composed of skintight leotards and an ankle-length cape. And the training exercise involved Mon-El teaching Supergirl how to use her CAPE as a weapon! 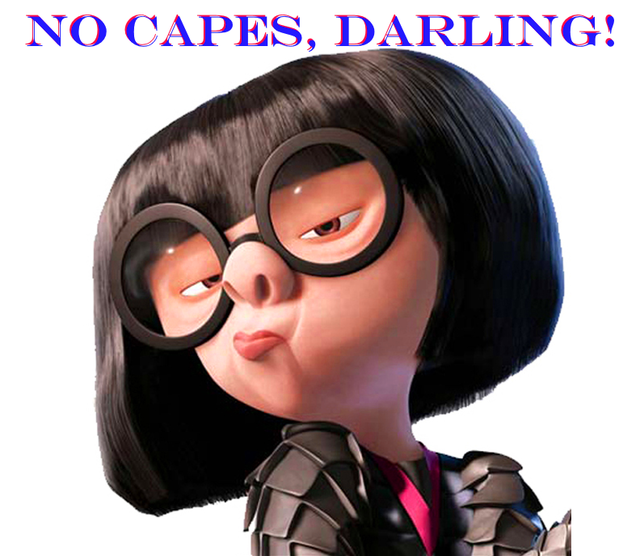 Back in the 1950s, when I was a ten-year-old fan of Superman and all things superhero-ish, I just loved the idea of fighting crime while wearing a cape. But several decades have passed and a new millennium has dawned. Now I just don't have the same affection for strutting around in public with a useless piece of fabric hanging down behind me while battling nasty villains. However, this week's Supergirl episode found a way to make a cape seem like Indiana Jones' whip, and I have to admit that this series has elevated The Girl of Steel to a new level of "cool"! Well, hell, my local CW has been airing the new season of Supergirl, but the Dish schedule for Sundays from 8:00 to 9:00 has been listing The Big Bang Theory each week, so I can't set the DVR for the damn thing! I hate watching things live and having to put up with commercials! When I realized I'd missed the first episode and later found out that I couldn't DVR episodes 2 or 3 in the normal manner, I just decided to wait until the season was over and it came out on Netflix. Then I could binge watch it. My "set-top box" does allow recording three things at once, I think - handy with consecutive shows, as the default "start recording 1 minute early, end five minutes after" means an overlap. I suspect this post will have a rather short life, given the current hosting problems! Copy everything you post to a Word document for the next few days. Servage.net has been given strict instructions to restore the most recent database, the one with the missing 10 days of posts. When they do, anything added since yesterday when they installed this older database will be gone, but the missing post will be back. What they don't know is that as soon as I get that database back, my friend Raj Patel is going to install it on a server with a new web host and I'll wave good-bye to Servage.net, dammit. Raj said he would set up the board on the new location this weekend. When he does, you can re-post anything recent that was lost in the switch from this older database back to the one from a few days ago. I doubt if my recent post is worth re-posting, particularly if the missing posts do return to life. I do agree about fast-forwarding through ads... some British channels don't have commercial breaks, which is fine to watch live, but otherwise, I'd definitely pre-record. Luckily the tv shows that some kind people post online do generally have the ads excised... though it's annoying when a wide band across the lower part of the screen shows an ad while the show is in action. Does that happen in your neck of the woods...? Luckily the tv shows that some kind people post online do generally have the ads excised... though it's annoying when a wide band across the lower part of the screen shows an ad while the show is in action. Does that happen in your neck of the woods...? Nope, I'm not familiar with that. By they way, since I'm still waiting on Servage to restore the lost posts (which means this will be gone when that happens), I can wander off topic here and mention that today I've been fixing SFMB's broken alphabetical index. I'm up to the C's (page 14 out of 44 Microsoft Word doc pages, saved from the original Yuku version). I have to change a thousand little things to make it work on the Tapatalk board, but I should get it done this weekend. Every now and then I get a YOU HAVE BEEN BLOCKED message when I try to submit a portion. So far I've been able to get around it somehow. I noticed that "wide band" on a show I watched last night, "Manifest" I think, and a little investigation showed that the advertiser was based in Canada. It's really pushing things a bit far when you don't just have ads, at around 17-18 minutes per hour, between sections of a show, but plastered on top of the action occasionally as well!